MDF is a mixture obtained industrially of processed wood and recycled paper with addition of chemical products. 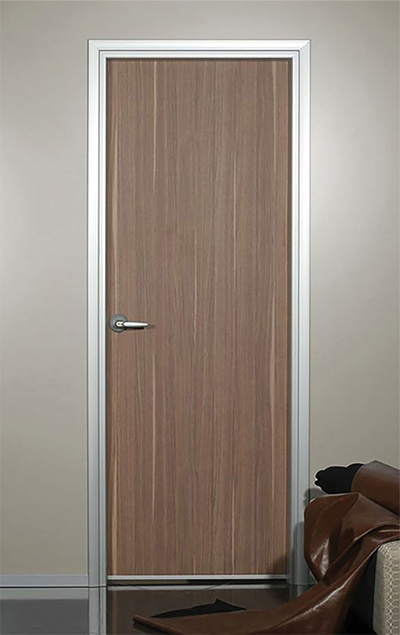 In industrial process such mixtures are casted in boards under certain temperature, which is used in furniture industry but also in production of interior doors. Further treatment depends on the patterns and colors you want. They can be painted with polyurethane (RAL chart) or coated with PVC foil. They may be in "Shine" or "Mat" version. The frame is made of plastic-coated aluminum profiles. 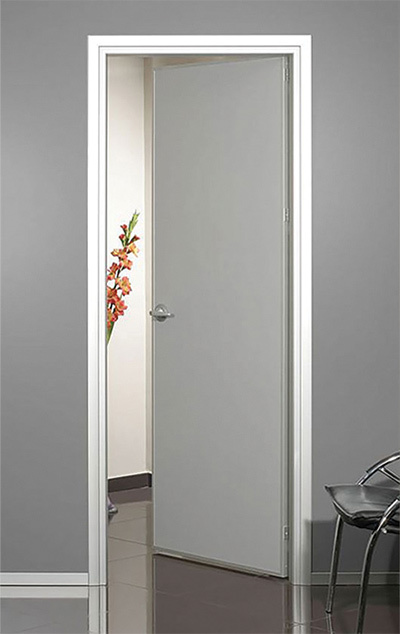 Interior aluminum door in combination with telescopic frame are designed in accordance with high demands in interior design and made of specially designed profiles. 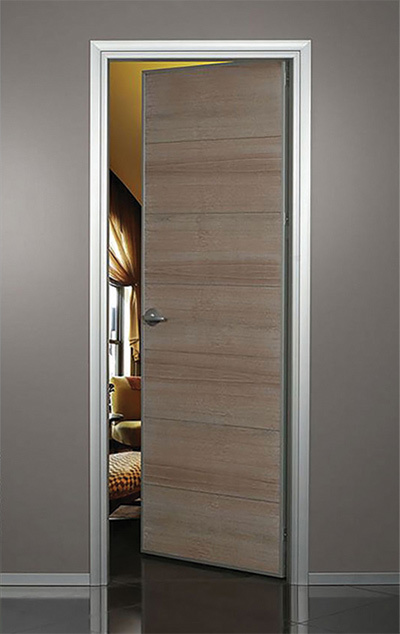 Thanks to telescopic aluminum frame doors can be placed on walls width from 100 to 500 mm. Aesthetic cover molding give additional protection for edges, which certainly has a practical use also. The design itself of telescopic frame allows rotation of the wing up to 180 degrees. Aluminum fittings make a special detail. Frequent designer's requests for slim profiles, forced us to design fitting with extremely small surface of visible aluminum.